Despite the fact that The Pink Print has been pushed back a couple of weeks than its original due date (November 24th) Queen of rap Nicki Minaj is definitely making it up to her Barbz. Not only has the rap emcee recently released Only, a single off the album Nicki Minaj just revealed the deluxe cover art to the album. Other singles that will be featured on the album due out December 15th include Pills N Potions and Anaconda. 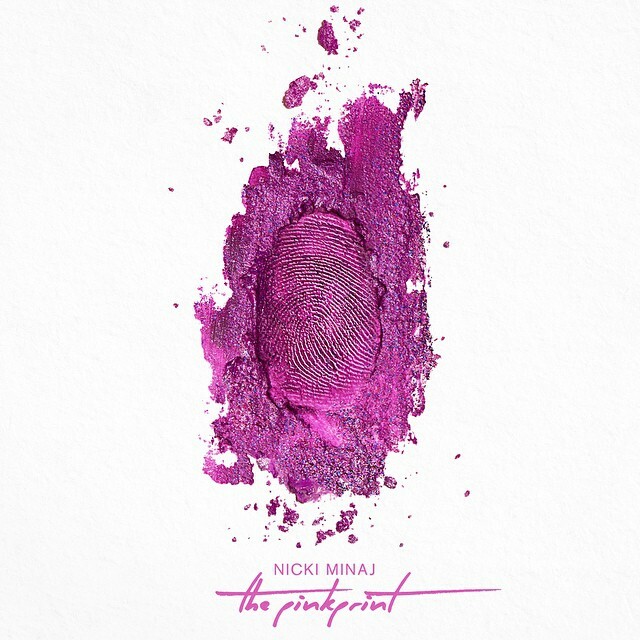 The simple cover of a pink thumb print was designed by Kanye West’s creative team DONDA who has also done artwork for other members on the Young Money roster such as Lil Wayne and 2 Chainz. “This is actually the #Deluxe cover. I’ll post the standard cover at a later date. #ThePinkprintAlbumCover thank to the Kanye West team,” Nicki tweeted her fans earlier in the day. Prior to the album’s release, Queen Minaj will be hosting the MTV EMA in Glasgow, Scotland on November 9th. Thoughts on the cover ?